Interior trim carpentry involves the installation of finished wood products to add the finishing touches to your home. Generally, interior trim carpentry includes arches, ceilings, columns, windows, doors, casing, crown, baseboards, railings, mantels, wainscoting, stairs, and cabinetry. Interior trim carpentry requires skilled craftsmanship and flawless attention to detail. Click on any project below for more photos and ideas. 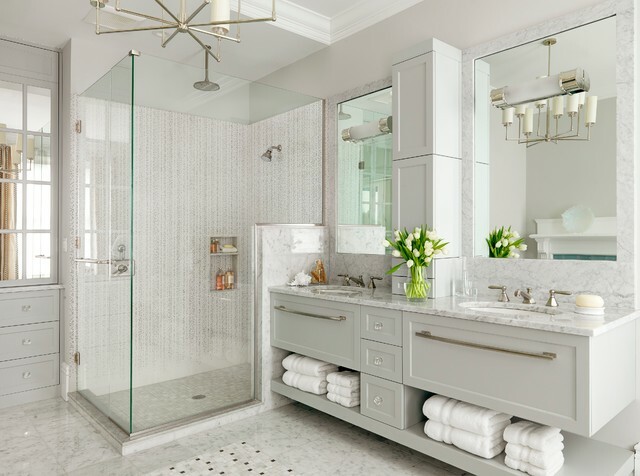 Custom cabinetry offers the most options for style and design. With custom cabinets, you have multiple choices for wood type, shape, size, glaze, finish, hardware, face-frame, and more design options. Custom cabinetry is a term commonly used to define custom cabinets which have a wide range of options for customization when purchased. 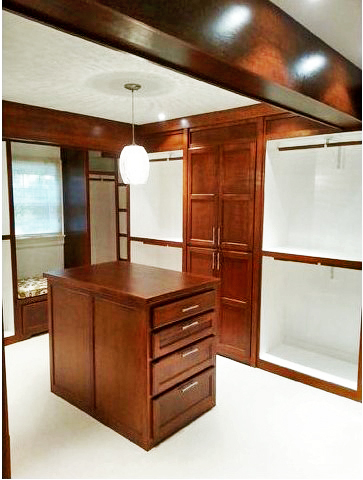 Custom cabinets will range from middle to high-end in pricing. They are generally higher quality, using better materials and construction methods than stock and semi-custom cabinets. Don't forget to subscribe to our monthly newsletter. Sign up below to receive our once-monthly update on interior design and completed projects. You can opt out at any time, at the bottom of each email we send.